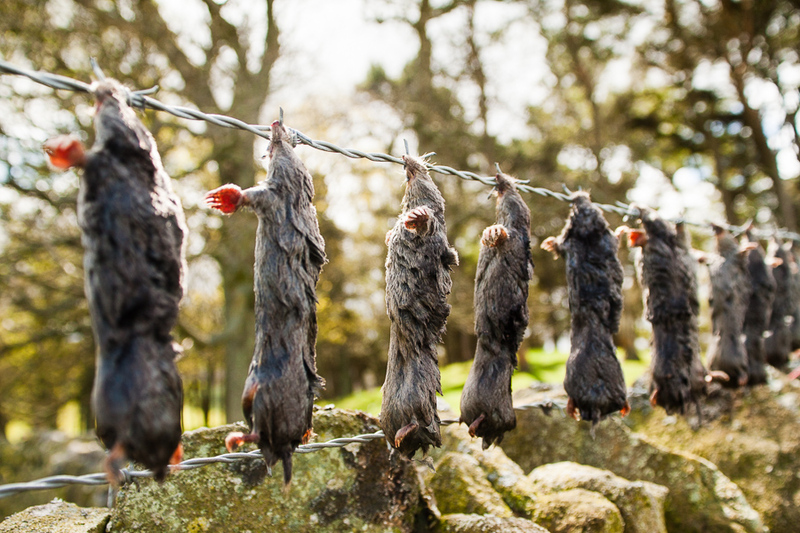 A "murder rail" of moles that have been killed by a mole-catcher in the North Pennines,England. 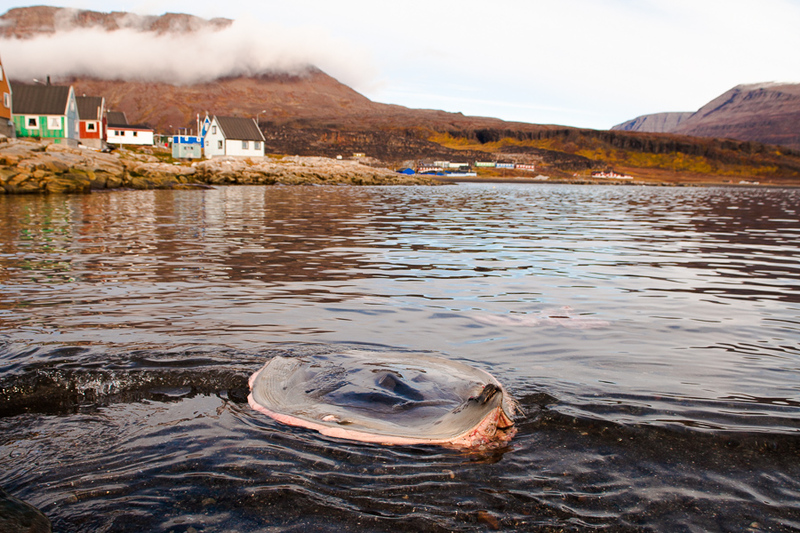 Skin and head of a harp seal apparently abandoned in the shallows around Qeqertarsuaq, Greenland. 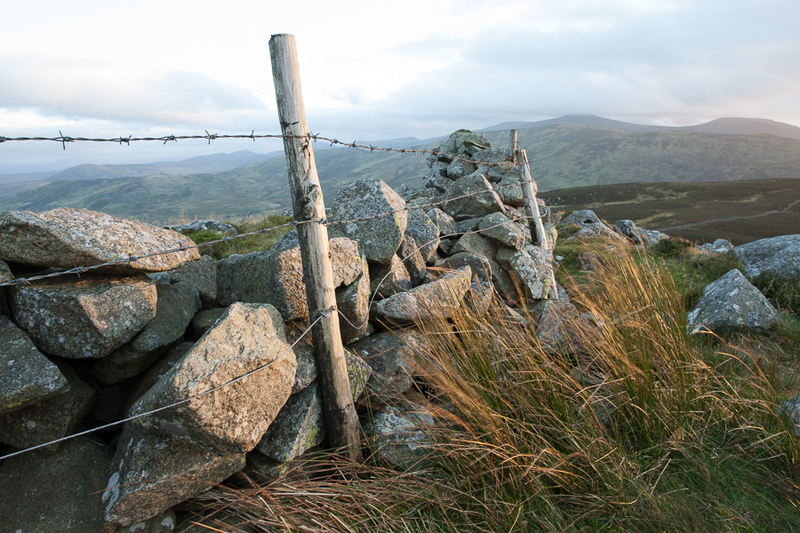 A barrier of stone and barbed wire in North Wales. 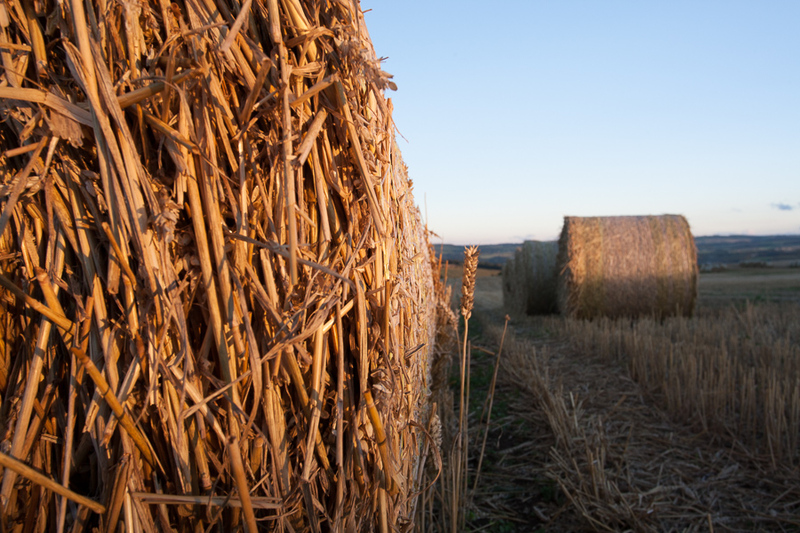 Hay bales in Northumberland, England. 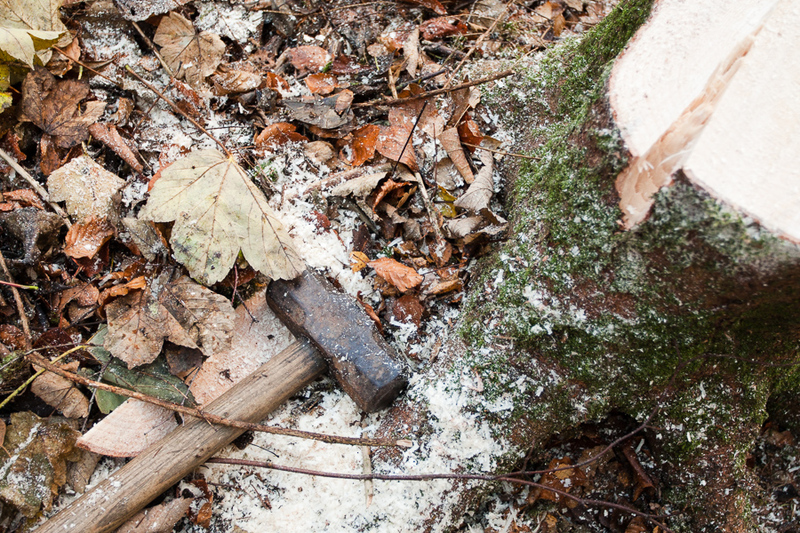 Tree-felling tools. 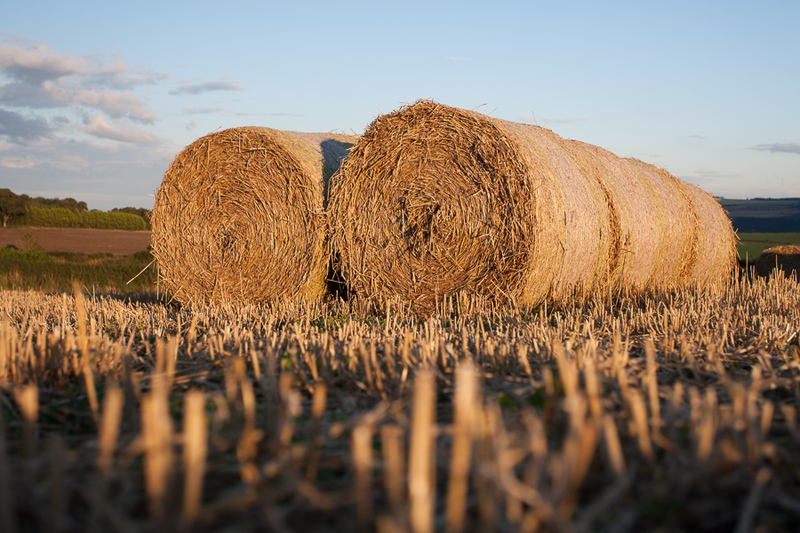 Here they've been used to remove non-native species as part of the regeneration of a woodland reserve in Northumberland, England. 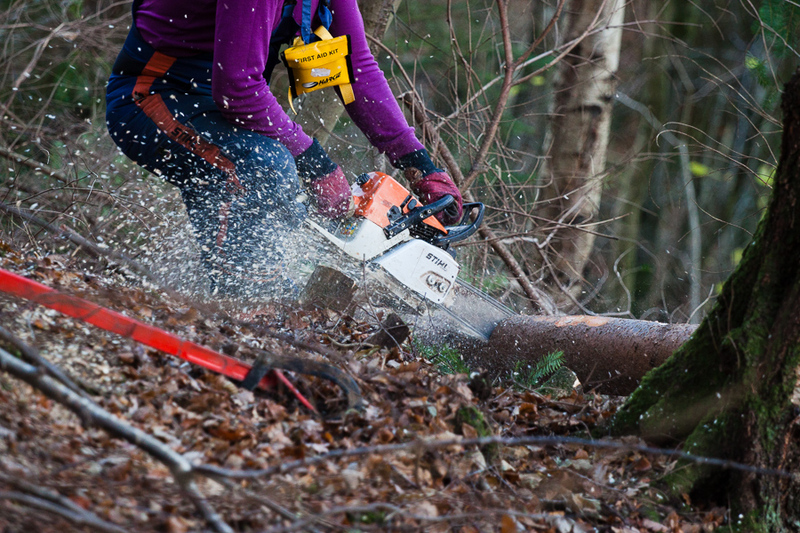 Chainsawing a felled non-native conifer tree in a woodland nature reserve, Northumberland, England. 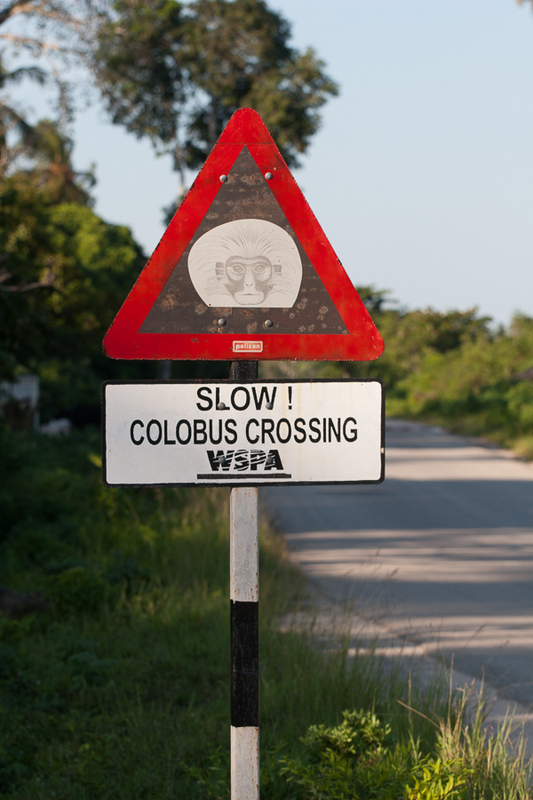 Many of Africa's parks are surrounded by buffer zones where licensed safari hunting companies operate. 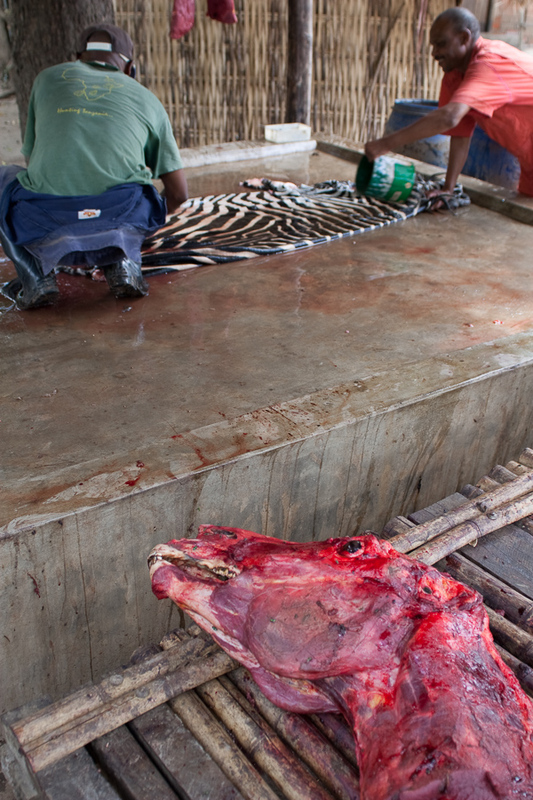 For species such as zebra (as in here in Tanzania) the numbers killed may well be sustainable but for apex predators, this is looking increasingly unlikely. 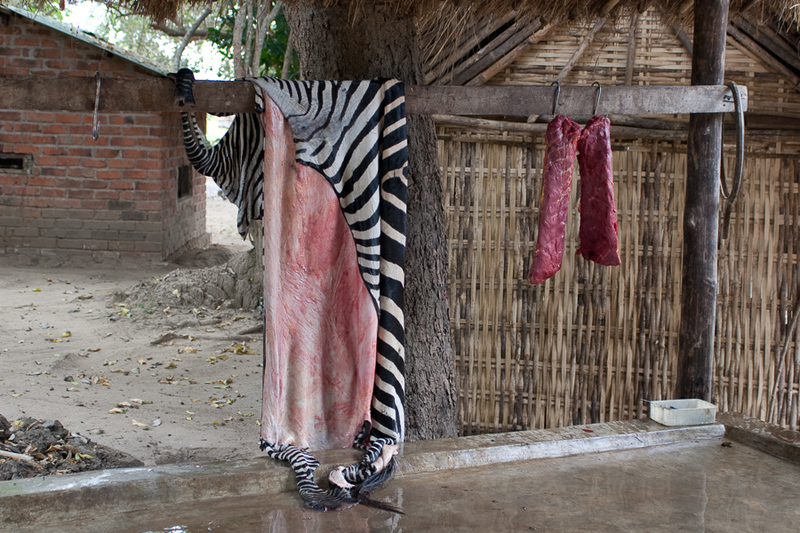 Hung zebra skin and meat at a hunting camp in Tanzania. 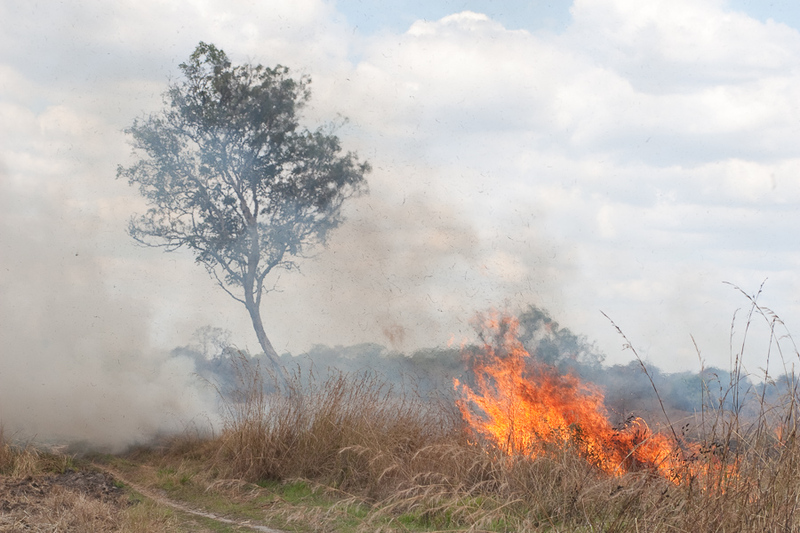 In East Africa, fire has been used as a tool for centuries to encourage new shoots of grass for cattle. 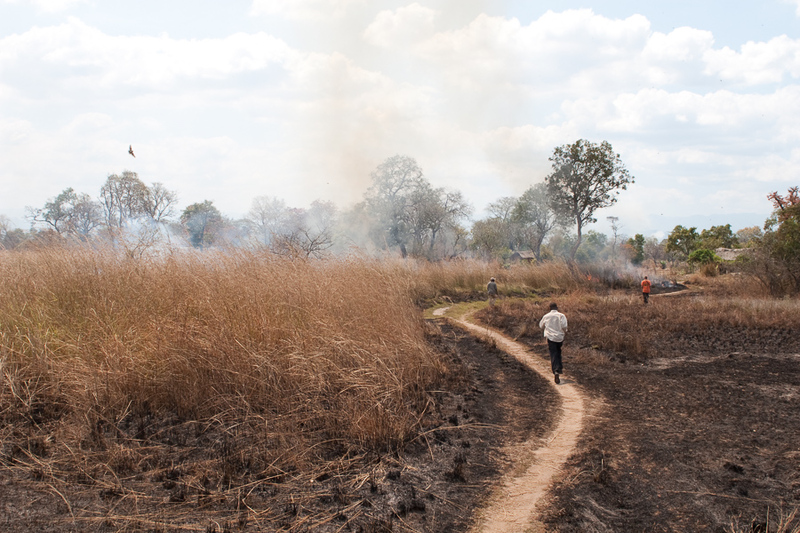 Many savannah tree species in Africa are fire-resistant, such as the miombo trees in southern Tanzania. The Zanzibar red colobus is found only on the island of Zanzibar and is restricted to a few patches of forest left uncleared. Roads remain a hazard.. 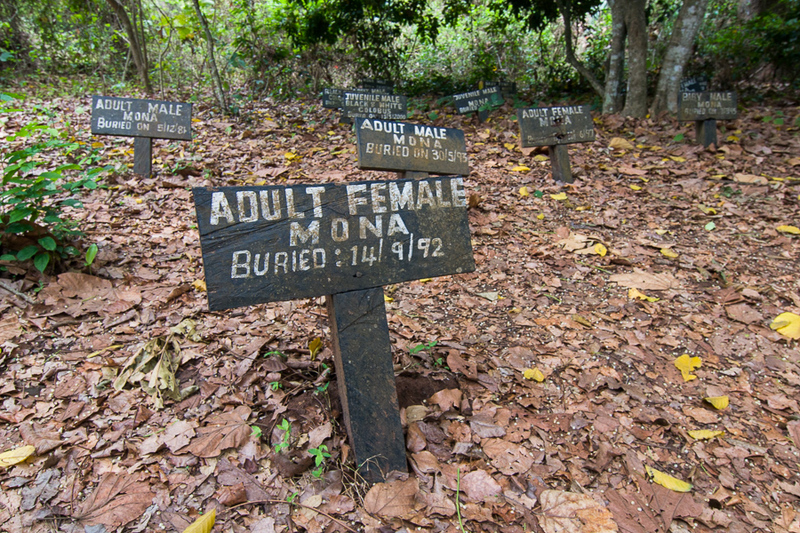 Along with the other monkey species living there, mona monkeys are sacred to the people of Boabeng-Fiema in Ghana and even have a graveyard. 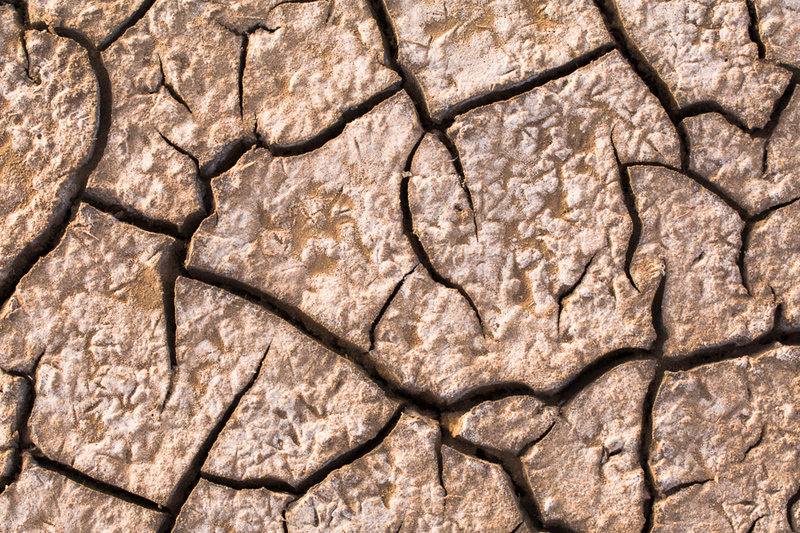 Cracked earth during the dry season in Djoudj National Park, Senegal. 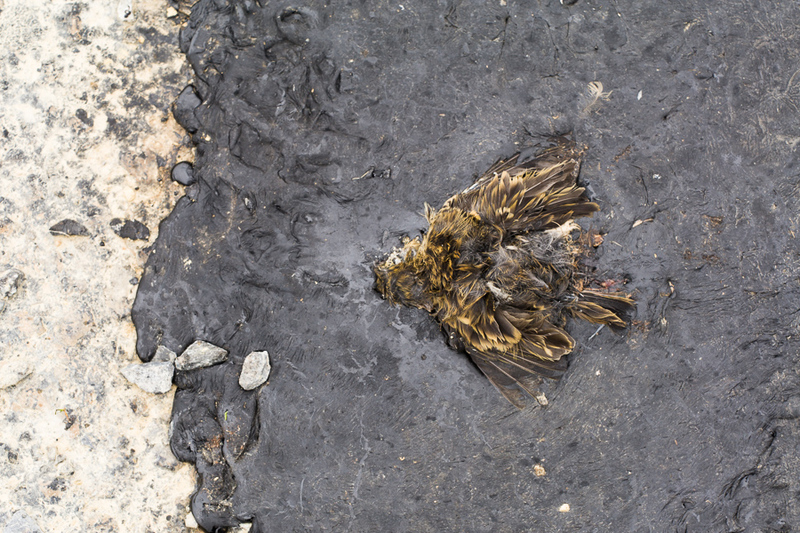 This juvenile meadow pipit had an unfortunate end, being trapped on this patch of tarmac, presumably while chasing an insect that also got stuck. 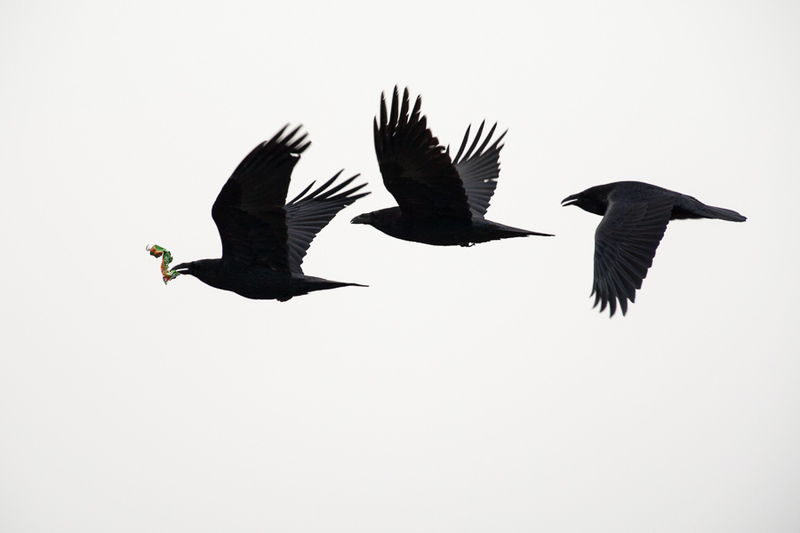 Ravens in Greenland, flying away with an old squeezy tube of sauce found in a rubbish dump. 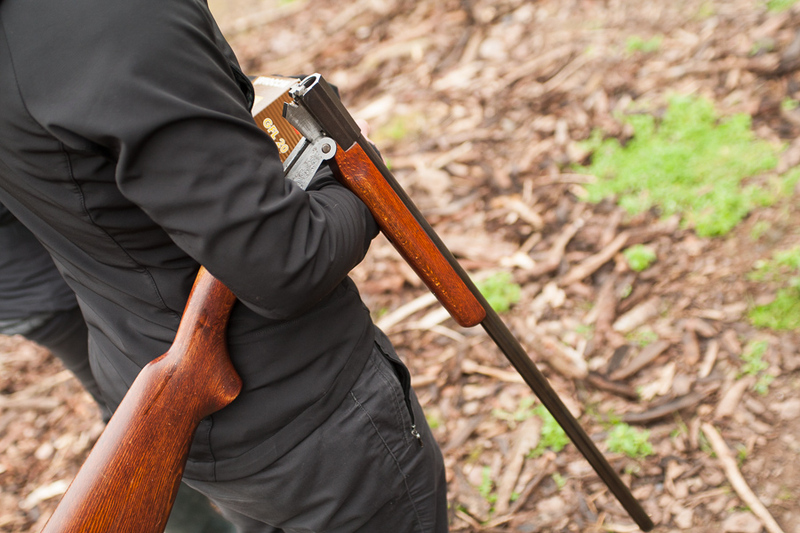 A shotgun broken over a shooter's arm during a clay pigeon shoot in Cumbria, England.